Enjoy the wildflower blooms in Panthertown Valley on this moderate 5.5-mile wildflower hike. Mainspring’s Kelder Monar, who is an expert in wildflower identification, will lead the hike. Mainly level, with some steeper climbs and descents. 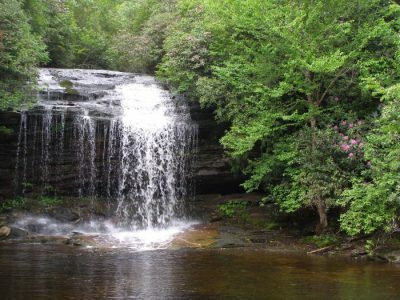 The hike will take us past a variety of wildflower habitats and a waterfall. 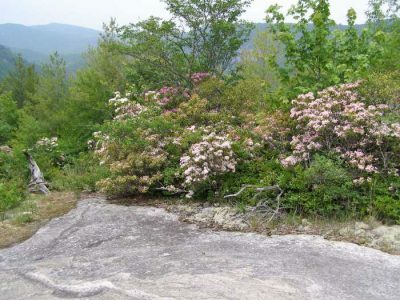 Expect to see spring ephemeral wildflowers such as trilliums and jack-in-the-pulpit, and early-blooming shrubs, including azaleas and mountain myrtle. Bring a sack lunch and plenty of drinking water. 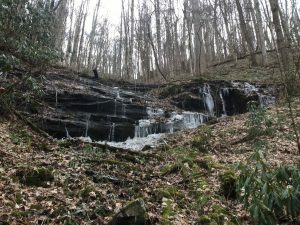 This hike is on one of Mainspring’s earliest conservation easements on historic family land at the head of Tellico Valley in northern Macon County. 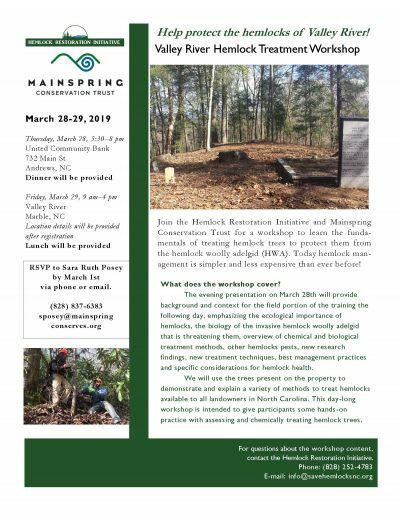 The first half of the hike will visit a recent timber harvest done to regenerate mature timber stands and comply with the Present Use Value Program. The second half will pass through 2 miles of majestic older growth forest with ample spring flowers. Goals of the day include discussion of strategies to preserve family land across generations and to understand silvicultural and logging impacts on forest regeneration. Moderately difficult with a 900′ elevation gain and 900′ drop over a 3 mile loop hike. Bring water, lunch, sturdy boots and walking sticks and weather appropriate clothing. 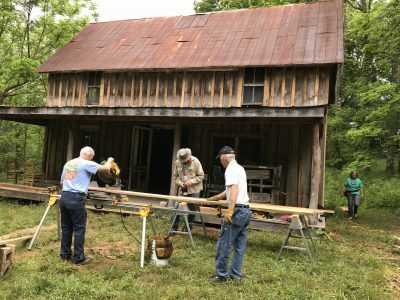 Meet at historic Cowee School at 10:00 am to carpool or caravan to Tellico. Will return to Cowee School by 4:00 pm. 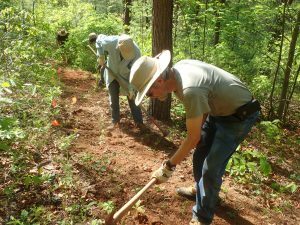 If you’re interested in learning more about trail building, this is a great opportunity! Perfect for beginners. Work gloves and long pants are recommended, as there may be poison ivy. 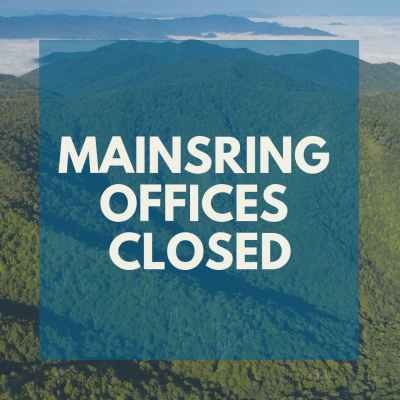 Mainspring will provide tools, extra work gloves, extra water, and snacks. 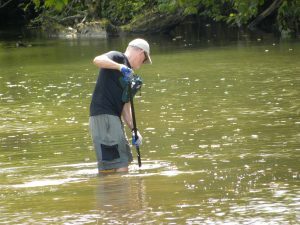 Help clean up the trash in and on the banks of the Little Tennessee River. Civic and youth groups welcome; pizza offered at noon to all volunteers. Meet at Big Bear Park in downtown Franklin to get instructions, bags, and choose your location. Boats are needed to help put trash in.